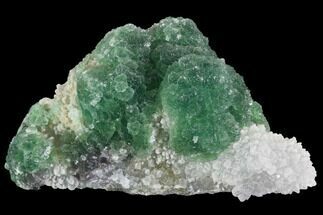 Here is a beautiful 6.3" wide cluster of light-green fluorite crystals that were collected from the Xianghualing-Xianghuapu Mines in China. 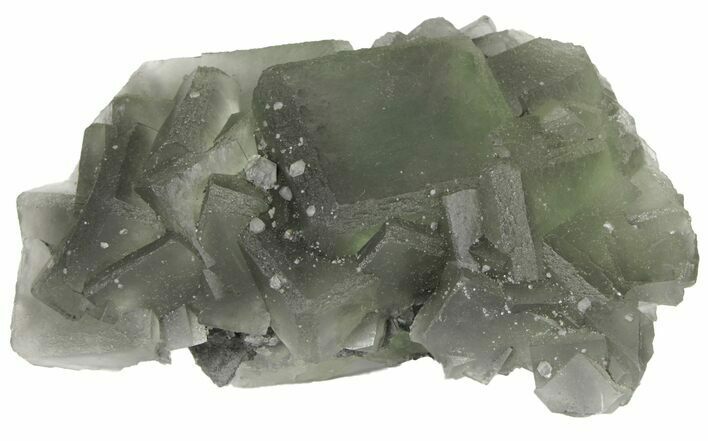 The plate is made up of large, stunning cubic crystals with textured dodecahedral edges up to 2.3" wide. 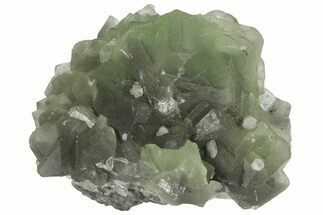 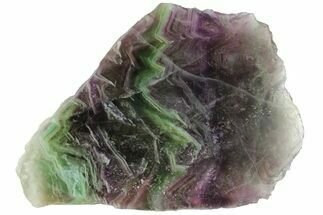 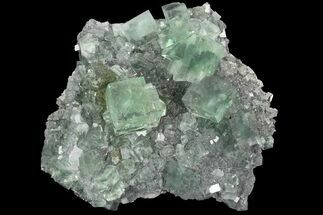 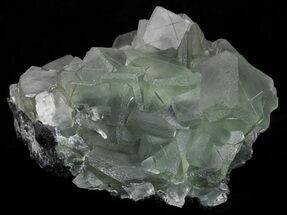 Small calcite crystal can be found peppered across the fluorite. 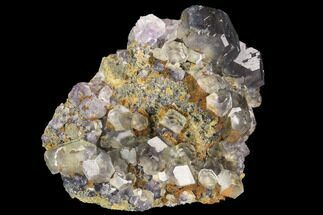 This specimen has a relatively flat underside that allows for aesthetic presentation of the crystals without the need for a display stand.